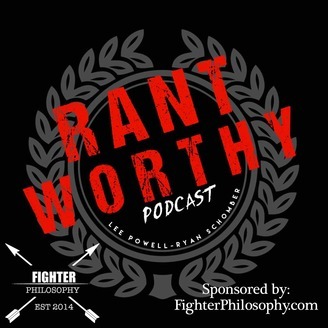 Rantworthy is a weekly show hosted by Lee Powell and Ryan Schomber. 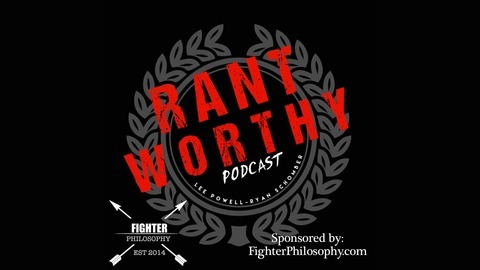 Relax as you get technical fight breakdowns from a virtual walking encyclopedia of MMA knowledge, stories of childhood angst, the martial arts journey, keto life and ultimately find the humor in the chaos of life. The UFC strikes new tv deal with ESPN, Dana White doesn’t like fighters who cherry pick fights, and Michael Bisping retires after hall of fame career. We also touch on The Till vs Wonderboy controversy, Marlon Moraes’s incredible Utica performance, and we deep dive this weekend’s stacked UFC 225 PPV.